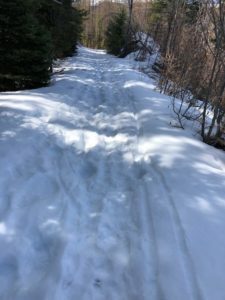 As at April 13, 2019, the trail is mostly dry. There is still snow across the trail in the dark cuts. Several trees are across the trail but it is possible to navigate around them. Some minor rock falls have happened over the winter. 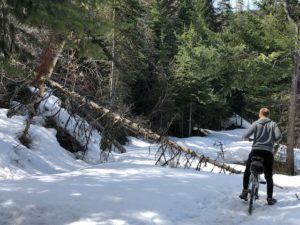 The Myra volunteers will likely not be up there until May to do a full inspection and begin clearing and repairing the trail for the season. 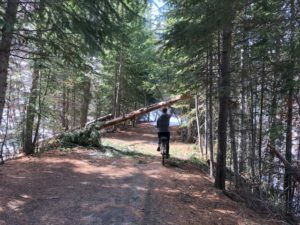 Please use caution if you decide to use the trail. ← Previous Previous post: As 2018 comes to an end . . .